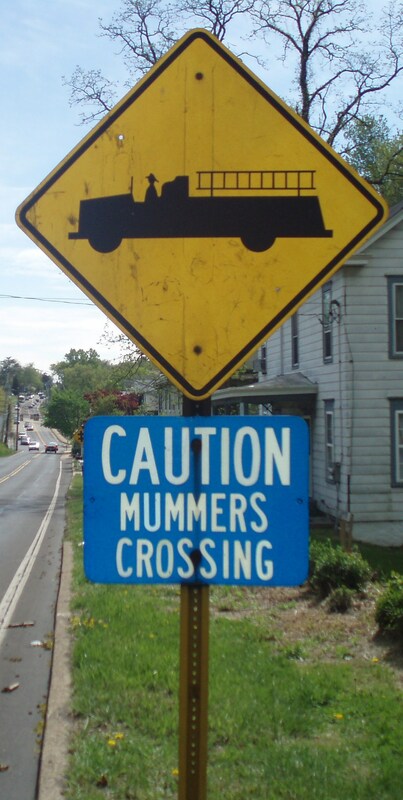 This entry was posted in Around Bucks County and tagged Bucks County, mummers, signs. Bookmark the permalink. I’d like to see an icon of a mummer added to it, for a bit more flair!